Ethiopia’s in the driving seat, as investors from East and West seize on opportunities in sectors ranging from construction to brewing. Though they are global competitors, China, the US and Europe can complement each other here, say the ingenious functionaries in the state investment commission. All around Meseret’s farm, international loans and foreign companies have been fuelling development. The nearby Wonji-Shoa sugar factory, operated by the state-owned SugarCorporation, was recently expanded with loans from India’s Ex-Im bank. The Chinese company Sinohydro has upgraded the road connecting Assela with the major city of Adama. But it is a Western corporation that has affected Meseret’s life the most. She began growing barley because Diageo plc, a London-based alcoholic beverages company, initiated a programme in 2012 to source the cereal from Ethiopian small holders. Meseret and about 6,000 other farmers are receiving seeds, fertiliser and other inputs, the costs of which are deducted when they sell their harvests to local cooperatives, with Diageo’s Meta Abo beer brewery as the ultimate buyer. Over the past few years, Western beer companies including Diageo, Heineken and Castel Group have been building or acquiring breweries in Ethiopia. Nevertheless, China, India and Turkey remain Ethiopia’s biggest foreign direct investors by far. China is Ethiopia’s biggest trading partner and has more foreign direct investment projects than any other country. Chinese companies are also completing infrastructure projects, funded by loans from Chinese banks. These projects have brought tens of thousands of Chinese workers to the country–and added $4bn in the past five years alone to Ethiopia’s $19bn in external cumulative debt. Despite China’s dominance in Ethiopia, various sectors have been attracting Western attention of late. Arecent burst of private-equity investments from Europe has targeted industries including horticulture, wine and energy. 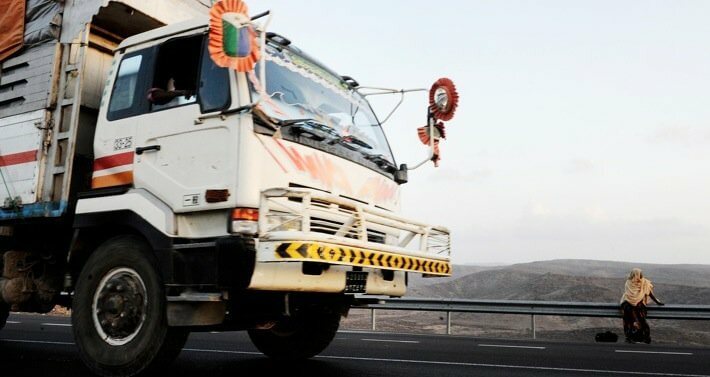 These investors may lack Chinese companies’ knack for completing infrastructural projects at low cost, but they boast expertise in certain consumer-oriented sectors, and are keen to exploit Ethiopia’s growing market potential. Aklilu Woldemariam, promotion and research director at the Ethiopian Investment Commission, noted that the continent showing the most new interest is not Asia, but Europe. The United States, on the other hand, is “definitely” lagging behind. Considering Ethiopia’s good relationship with the US– a major aid donor and defence partner – Aklilu hopes the world’s largest economy could one day break into the top-10 list of Ethiopia’s foreign direct investors. The US government has been working to promote investment in Africa through its Power Africa initiative, which uses US technical assistance to facilitate energy investments. In Ethiopia, Power Africa has linked up with Reykjavik Geothermal, a US-Icelandic company, to accelerate development of a geothermal energy site near the southern village of Corbetti. The project has faced delays, but during Obama’s visit to Addis Ababa earlier this year Reykjavik signed a power-purchasing agreement with Ethiopia’s state-owned electricity company. US private investors are also testing the waters. advisory and venture capitalist firm. He adds that although Western firms might be put off by Ethiopia’s lack of dynamism –the private sector is still developing, and inhibited by protectionist policies – the country’s political stability, economic growth and huge population should be key selling points for investors. Schulze is also a non-executive board member of a family business, Schulze Global Investments, which has been a pioneer of US private equity in frontier markets. The Ethiopian companies in the firm’s portfolio are diverse, covering sectors like coffee, medical supplies, food processing and cement. Atop Aklilu’s office building, which sits at one of the busiest intersections in Addis Ababa, a sign spells out ‘Ethiopian Investment Agency’ in bold red letters. The label is outdated. About a year ago the agency, which used to be under the Ministry of Industry, began reporting straight to Prime Minister Hailemariam Desalegn and was renamed the Ethiopian Investment Commission. The move reflected a growing realisation that Ethiopia needed a more proactive approach to attracting foreign investors. The building is a hive of activity. It is meant to be a one-stop shop to help investors navigate a system where federalised land policies, unreliable utilities and opaque bureaucracies might otherwise become a deterrent. But not every sector is equal: manufacturing and agriculture are priorities, while other industries, like banking and trade, are not open to foreigners except through Ethiopian intermediaries. “Our promotion strategy is in line with government policy,” said Aklilu. Developing countries happen to specialise in the sectors Ethiopia prioritises, he added as an explanation for why Western firms have a smaller footprint. This point of view is confirmed by Yang Yang, an assistant business manager at the Ethiopian construction branch of the China Civil Engineering Construction Corporation (CCECC), one of two Chinese companies that is laying down the Addis Ababa-Djibouti railway. In Ethiopia, as in Africa as a whole, Eastern and Western investors are often seen as competitors in a zero-sum game. Though the government is careful to say that all investors are welcome, the close political relationship between China and Ethiopia – both de-facto one party states that have pursued a heavily state-driven development model – has helped to cement China’s role as a primary economic partner. Speaking at the African Union during his visit to Addis Ababa in July, Obama made subtle jabs at China when he said that “economic relationships can’t simply be about building countries’ infrastructure with foreign labour.” He added that African leaders might find it easier to work with countries that don’t speak out against human rights abuses. Western countries are home to advocacy groups like Human Rights Watch and Amnesty International, which criticise Ethiopia for pushing large-scale development projects at the expense of civil liberties. But when it comes to business, Aklilu argues that all countries have roles to play. Those roles are often complementary, as when European beer companies use Chinese built roads to transport supplies. Or when farmers like Meseret participate in initiatives like Diageo’s barley sourcing, while her community reaps the benefits of the railways and energy transmission lines being laid down by Chinese companies.